There are many different types of gutters to choose from, the ones that will be right for your home depend on the specifics of your property. However, one thing that many people overlook is the color of their gutters. Just what color should your gutters be? Well, there are a few things to consider before finalizing your purchase. 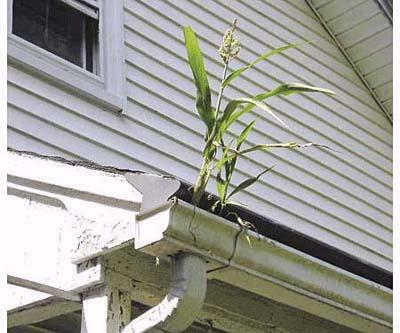 Before you spend too much time thinking about it, first ask yourself if your gutters will even be visible. If they will be on an area of your house that can’t be seen from the curb, you can choose just about any color. Of course, you may still want something that is appealing to you and your family. Next, you will want to consider the color of a few others areas of your house. Your gutters will be seen alongside your roof and exterior walls. In many cases, people choose either the same color as their roof or walls for their gutters. This allows the gutters to blend in and seamlessly match the rest of the home, which is ideal for anyone who doesn’t want them to be overly noticeable. Alternatively, you could choose a color that matches the trim around your windows or doors. You could even choose a color to match window shutters or some other aspect of your home’s exterior. This will make your gutters standout more while still ensuring they match the overall aesthetics of your property. Choosing gutters doesn’t have to be a complicated process, but their color is just one of the many things you need to consider. For more help finding the right gutters for your home, contact the team at Bell Seamless Gutters today! Gutters are an essential part of maintaining your house, and keeping them free of leaves and other debris is one of the ways you optimize gutters’ performance. True, cleaning and clearing your gutters can be a dirty job, but it is a simple one and you will not regret devoting this time to your home’s overall maintenance. Using gutter guards helps insure that leaves, wood and other kinds of debris don’t clog up your gutters and they are easy to install. The different kinds of gutter guards available to you give you a good variety to choose from and you will surely find one that works well for your home. Reverse Curve gutter guards keep rainwater flowing down the gutter and help leaves fall to the ground. Nylon gutter guards are mostly for snow and ice accumulation during the winter months and fit right inside the gutter without having to be attached to your home’s shingles. Bottle brush gutter guards keep debris on top while still allowing water to flow down the gutter. Mesh gutter guards are metal sheets with holes in them – the smaller the better – used for catching debris and still letting water run cleanly through the gutter. Plastic foam gutter guards are installed inside the gutter and sift out roof debris while permitting the free fall of rainwater. Ask a professional which type of gutter guard is the best fit for your home’s needs. The surrounding environment – trees, buildings and the like – will be a factor in deciding which gutter guard is right for you. Using gutter guards is a way of helping your gutters do their job keeping your house safe and in good condition. The real estate market favors buyers with being able to find homes at low prices, but it does not necessarily mean your home will sell quickly. Real estate agents have been pushing clients to upgrade certain areas of their home to attract potential buyers. To get a return on your investment, one way to help make your house stick out to buyers is by thoroughly examining your gutters. Having nice and clean gutters gives your home an attractive look. Gutters with dents, rust, cracks and holes can be an eye sore, regardless of how nice your landscaping looks. 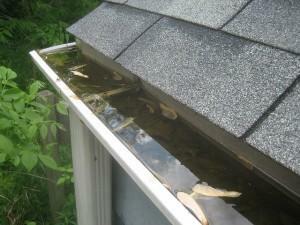 If you find that your gutters have any of the above, think about replacing them. The initial cost will be well worth it when you have multiple bids placed on the sale of your home. Seamless gutters prove to be an effective gutter for functionality and appeal. Seamless gutters have smooth edges with no breaks every few feet where debris and rust can build up. Plus, gutters of a fresh, new color will enhance and compliment the exterior. Remember, potential buyers have to enter your house from the outside. Don’t put yourself in the predicament of people not even wanting to step into the house because the outside looks atrocious. With only a couple of weeks until Christmas, we know that some of you have procrastinated and have not put up your lights yet. Rest assured there is still time. The later you put the lights up, the longer they can stay up, right? We think so! Just remember to be safe while hanging your Christmas lights! 2. Measure & Evaluate – Have a tape measure handy to determine how many lights you will need and the length of the light strings that will work best for your home. Do not forget to evaluate your home’s surfaces and the type of light that will work best for your home. This will also help you determine the types of lights and clips that will work best.ble ladder, the right Christmas light clips, an outdoor extension cord, and an outdoor timer for the lights. 3. Choose the Lights – With the vast assortment of Christmas lights available choosing the right Christmas lights is not only a personal preference, but there is also a functionality factor. From icicle lights to the C7 and C9 bulbs, the choice is all yours!